The coolest thing about my birthday is that I share it with my mom who is Marika in my MARIKA. I was born on her birthday, twenty nine years later. We always celebrate our birthdays together with spinach "palacsinta" (thin pancakes) that she makes for the two of us and any other family members who are around. I also got married on this day, and this year is our 30th wedding anniversary! So, lots to celebrate on September 19. My mom turns 84. I turn 55. And the marriage between Jim and I turns 30! This multi-generational and multicultural celebration is what my life and my books are about. Andrea Cheng is a diverse and accomplished author of nearly twenty books. In a video provided by Knowledge Stream, Andrea Cheng describes her writing as a collage. "I take experiences that happened maybe thirty years ago and combine them with something that happened yesterday. Or my own experiences with experiences of my children." She has applied this writing style to many different genres including picture books, chapter books, middle grade and young adult novels. On her website, Andrea Cheng credits her elementary teachers with encouraging her to write. Her sixth grade teacher commented on one of her stories by saying, "You've got a certain talent for saying your ideas with a distinctive flair that makes your writing a pleasure to read. The words 'float' together." Despite her talent for writing, she struggled early on in her career with many rejections from publishers. According to her website, she "many times decided to not write anymore, or to stop submitting stories to publishers, but always went back to it because she loves writing the stories." 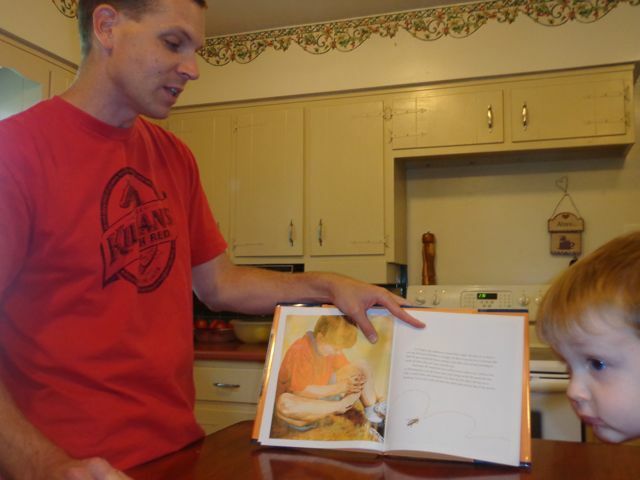 She persisted and published her first book Grandpa Counts in 1999. Each night this week, my daughter knew exactly which book she was going ask me to read to her and her brothers before bedtime. 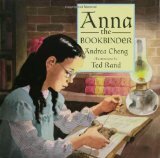 She was hooked on Andrea's writing style after her first choice, Anna the Bookbinder. Night after night she selected another picture book by Andrea Cheng -- Goldfish and Chrysanthemums, Grandfather Counts and The Lemon Sisters. I was so happy to see her excited for Andrea's books. Right now my seven year old daughter is in a transition period in her reading. The before-bedtime-reading with her dad and her two younger brothers is still very important and wouldn't be skipped for anything. However, she is quickly falling more in love with the quiet reading time alone in her room before she falls asleep. She devours one or two chapter books each week with the aid of her special reading head-lamp. We have talked frequently that it is okay to not be interested in the books that her brothers choose for me to read. I no longer correct her if she quietly picks up another book to read on her own if she is not of interested in the book I am reading aloud. I have encouraged her to take care in her book choice each night so that there is at least one that she will enjoy. There were plenty of books for her to enjoy this week. Andrea Cheng's picture books captivated my boys too. Collectively, my three children really enjoyed When the Bees Fly Home. This may come as no surprise to my frequent readers who have tracked our family's first beekeeping experience. When the Bees Fly Home opens with the lines, "The beeswax is smooth. I pass it from hand to hand until it is soft enough to mold." These are the thoughts of Jonathan who really tries to help his father with the bees but the labor of the family business just isn't his thing. He isn't tough and strong like his younger brother. 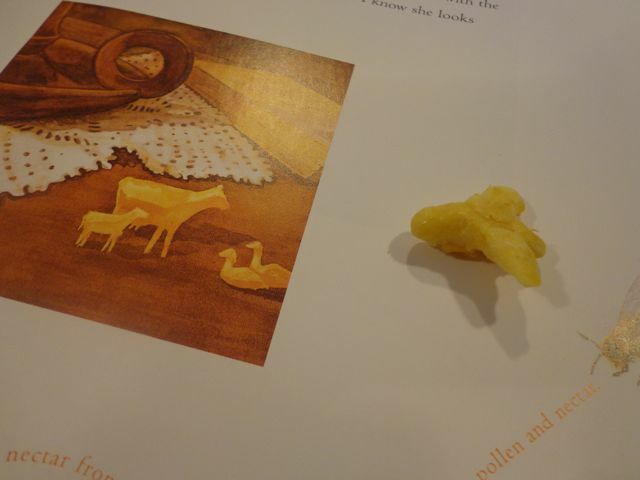 He would rather work artistically with the beeswax to form it into small figures of animals. Andrea Cheng says on her website, "Jonathan in When the Bees Fly Home is a combination of my brother's son, Mathew, and my own son, Nicholas, who is artistic but not athletic. When Nicholas was growing up, I felt like it was hard for boys who preferred the arts over athletics to find their places in a competitive world. I hope this story will help boys like my nephew and my son to feel more comfortable with who they are." Jonathan finds a way to use his artistic talent to contribute to the family business, bond with his father, and bring hope for a successful remainder of the harvesting season. I was intrigued with Jonathan's ability to mold animals out of beeswax. I knew we had beeswax in the kitchen from a recent harvest, but I didn't know if I could separate the honey from the beeswax to use it for molding. 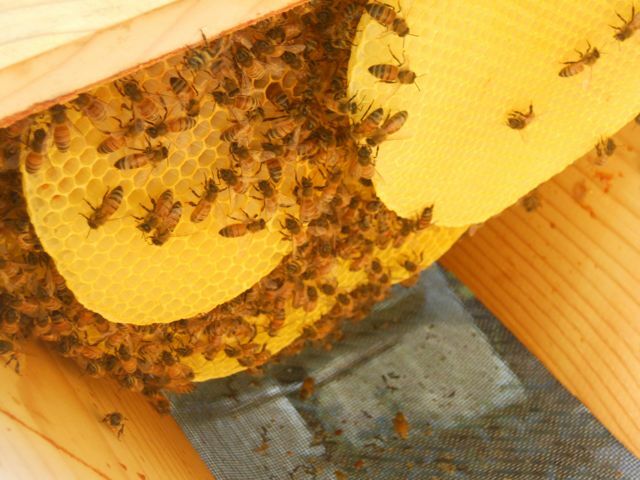 We cannot use an extractor to harvest honey from our top-bar hive. We must harvest the whole honeycomb, chop it up in a bowl, and let the honey drip from one mason jar to another through a screen. 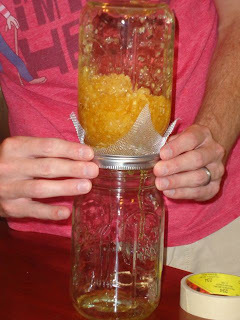 The beeswax was just too sticky to work with and plans to separate all the honey from the beeswax failed. I needed another plan. I found a piece of honeycomb that I used for a few classroom teaching demonstrations. I thought it would be best to melt it down using a double boiling method. 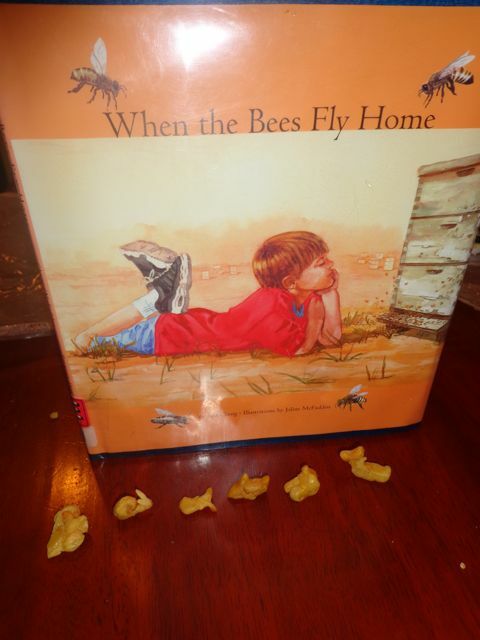 We reread When the Bees Fly Home while we waited for the water to boil and for the beeswax to melt. I quickly realized that this whole project was not working out the way I planned. 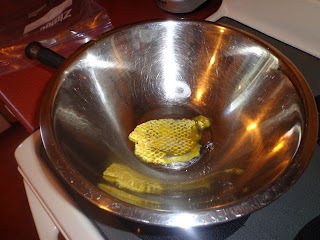 I was unsuccessful of fully removing the honey from the beeswax and our other piece of honeycomb wasn't nearly enough for my three kids to try molding animals. 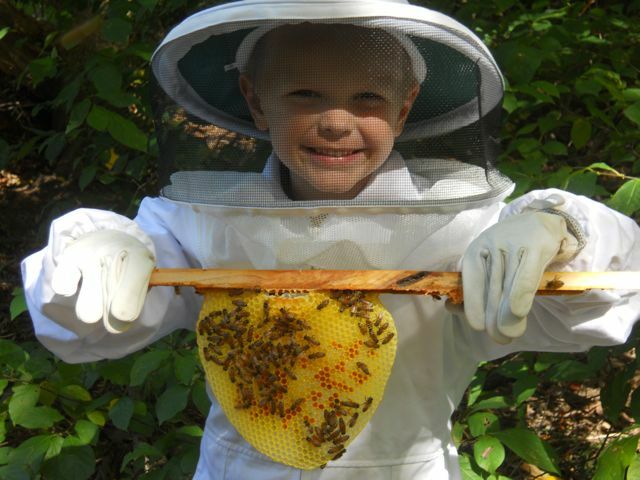 My oldest son and I headed to the hive to harvest some fresh beeswax. We found what seemed to be the perfect amount on one of the first bars we removed. There was plenty more honeycomb inside the hive that the bees were busy filling with honey for their winter storage. We pulled one out for you to see! 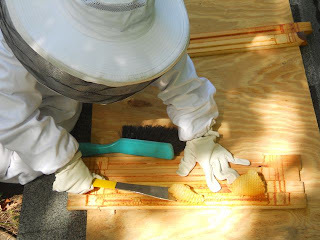 My son used his hive tool to scrape off the beeswax. We brought the harvested beeswax inside and my youngest son started working with it right away. However, we noticed that the beeswax was still pretty hard even after holding it in our hand for a while. It was a very cool day -- around 65 degrees -- which may have had an impact on the malleability of the beeswax. But, we were determined to form animals just like Jonathan. 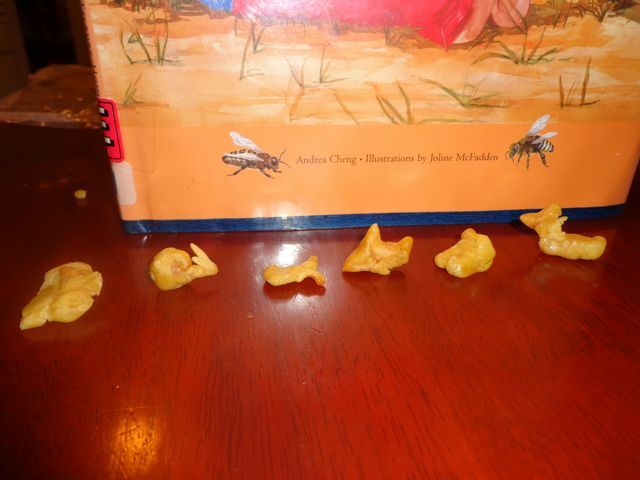 Early on, my daughter used her imagination find the animal shapes in the pieces of beeswax. She quickly found a dog face and a crab. 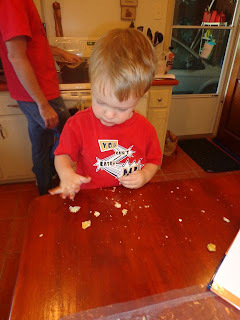 My youngest son loved making a mess! 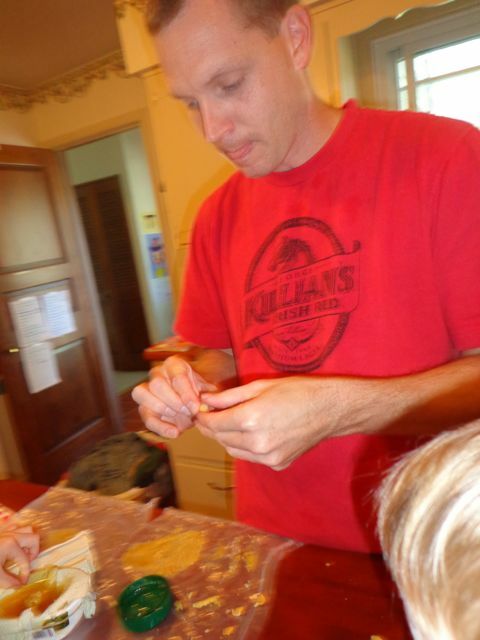 You may notice me in the background of this picture heating the beeswax in the double boiler. This made it much easier to mold. I was very focused on making a bee. Not too bad -- it sort of looks like a bee, right? I really appreciated Jonathan's artistic talent after this activity. My daughter gained more and more confidence as she spent time with the beeswax which allowed us to make quite a few animals. From left to right: dog face, a snail, a fish, a shark, a frog, and a duck. We want to wish Andrea Cheng a very happy birthday and anniversary. Our family hopes you have a wonderful day with your family. Thank you so much for sharing your birthday thoughts. Oh, and Happy Birthday to your mom too! How do I not know this author? I believe she writes stories that are so my type of tales. Thanks you so much, Erik, for this introduction and I loved what Andrea shared about her special day! Joanna, I felt the same way. My daughter reacted her books the same way she has for books by Cynthia Rylant and Patricia Polacco. Excellent post! I enjoyed listening to Andrea explaining her process, it's always fascinating to hear how other writers and artists work. Andrea Cheng is now on my library list for next week's visit. The beeswax project is very cool, more so because you pulled the beeswax out of your own backyard! Arthur has been fascinated with bees this summer and he always watches the hive when we pick up our veggies at the CSA farm. 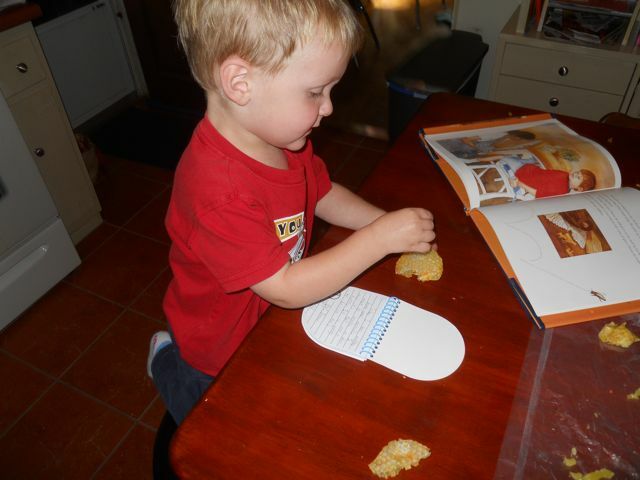 I may have to find some beeswax now for him to play with. I remember when my oldest son started moving away from what his younger brothers wanted to hear as read alouds. He still loves for me to read to him and I have one book going for Ben (and, of course, his brothers listen in when they want to do so) and shorter books for Arthur and Ethan (which, surprisingly enough, Ben still enjoys hearing a good picture book read aloud). Sharing stories with my boys is one of my all time favorite things to do. Heather, I am sure you can get some beeswax from your CSA, but if not it can be purchased at a craft store like Michael's (not quite the same though!). I would also agree that my favorite thing to do every day with my children is read to them! Thank you for sharing the post on Facebook too! 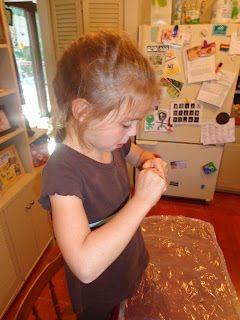 This was a fascinating post -- both learning about Andrea, and reading about your beeswax experiments. I must find some of Andrea's books! 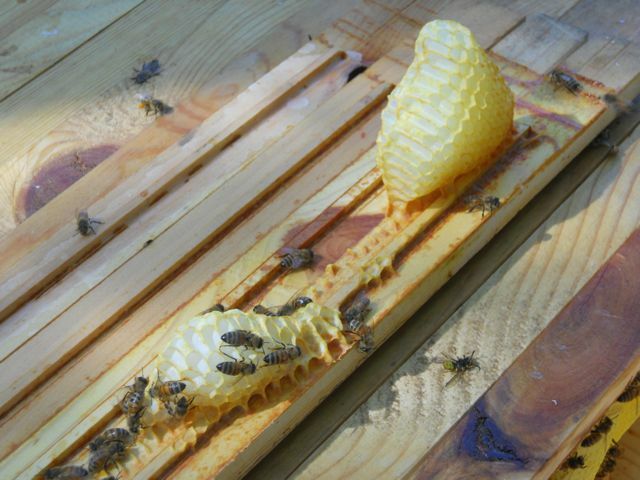 I've made candles from purchased beeswax, but it's definitely not the same as using wax from your very own beehive!